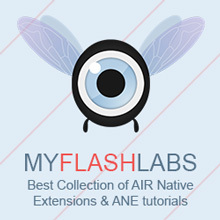 ANE TestFlight is an Adobe Native Extension that allows the use of TestFlight SDK. TestFlight is a service that makes the testing process of an application a much easier task. This is exactly what I need! Can you give me a beginners/dummies guide to using this in my Adobe AIR (iOS) app. Do I just copy these functions in my .as file and TestFlight does the rest?